Nothing much terribly exciting has been happening around here, so today you get a list! A cowl that I made to match my High Plains Poncho . It is free for now since it is my first pattern and I’m trying to figure out how to do all this and set up PayPal. 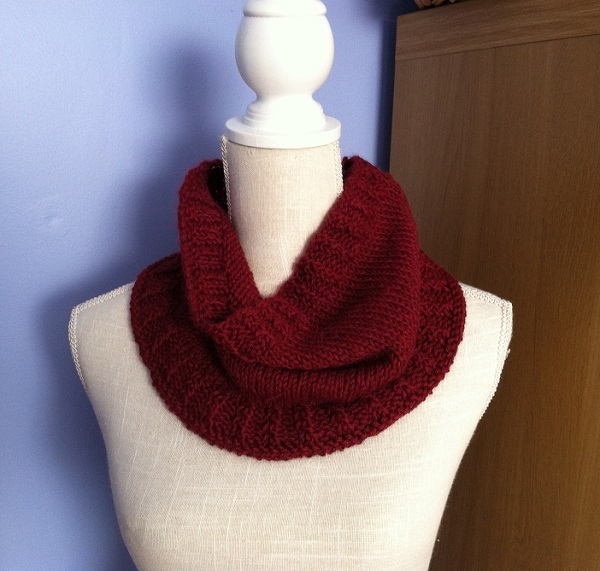 You can find the Easy Cozy Cowl pattern on Ravelry here: Easy Cozy Cowl. So exciting right? 2) I’m starting work on another design! Stay tuned. 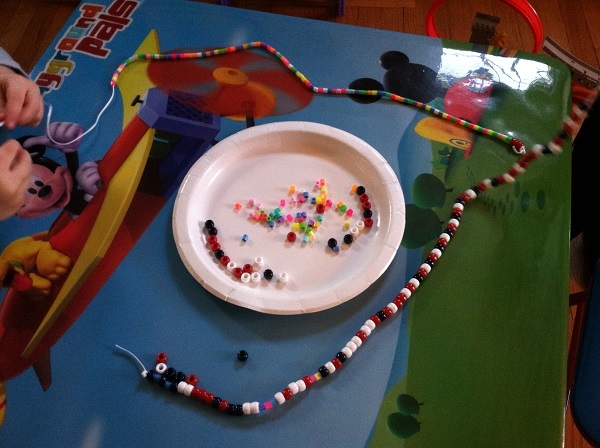 They didn’t want necklaces, preferring instead to just swing them around or drag them around behind them, around the house. 3) I’m still working on my Cocktails for Two socks. They aren’t done yet though, so pictures are being withheld. HOWEVER, I did a teeny tiny try-on thing and, wait for it……. I think they might be too small. Don’t even get me started. I’ll go on and on about it when they are finished and the final try-on is tried. 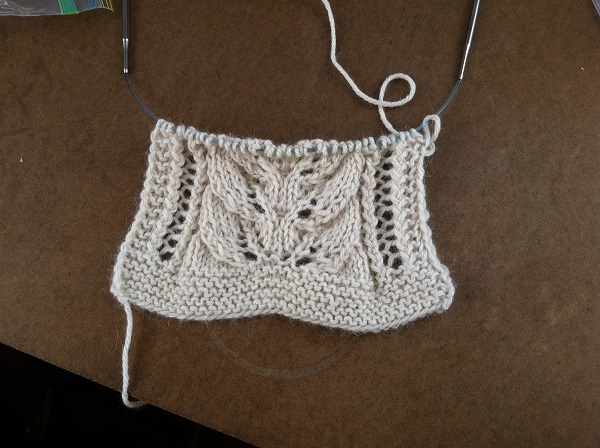 4) I started the Brooke’s Column of Leaves Knitted Scarf in preparation for a class on basic lace techniques. 5) I’m reading All the Light We Cannot See: A Novel by Anthony Doerr and it is very good. Waiting in line is Wild: From Lost to Found on the Pacific Crest Trail by Cheryl Strayed. My sister in law sent it to me as a thank you for knitting her a third mitten to replace the one she lost. So nice! Thank you again, Anita! Posted in Uncategorized and tagged all the light we cannot see, anthony doerr, brooke's column of leaves knitted scarf, cheryl strayed, cocktails for two, easy cozy cowl, publishing, ravelry, wild on January 23, 2015 by lizytish. Great!! The start of a new adventure. Very proud of you for taking the plunge. Congratulations on your first published pattern! It’s a winner!